The made-in-India Renault Kwid has always failed miserably in crash tests! 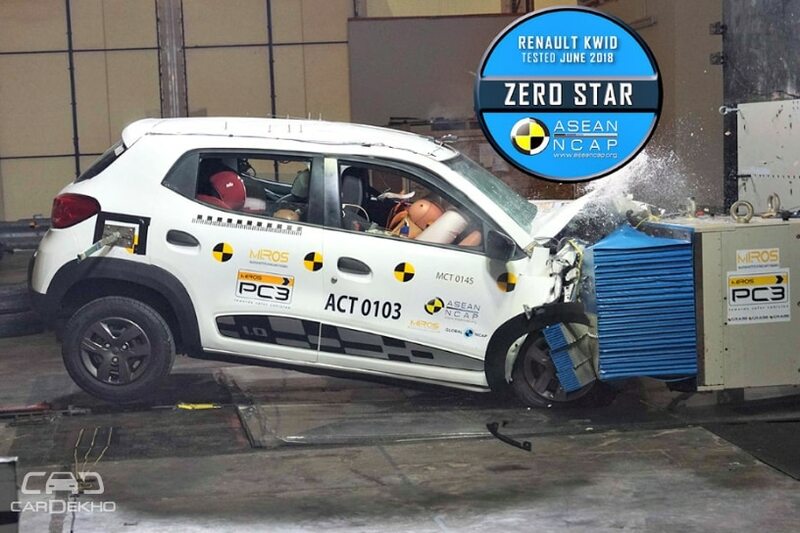 In a recent crash test conducted by the New Car Assessment Programme for South East Asian Countries (ASEAN NCAP), the Renault Kwid has scored a poor zero-star rating. The test car, which is exported from the Renault-Nissan Alliance’s plant in Chennai, India, was for the Indonesian market. The made-in-India Kwid also met a similar fate in the Global NCAP tests when it was tested in 2016 multiple times. Actually, the Renault Kwid was among the few cars tested by the Global NCAP in early 2016 under its #safercarsforindia campaign. Like the ASEAN NCAP result, the Kwid scored zero stars in the Global NCAP tests as well. Later in 2016, after some structural reinforcement, the Kwid was tested again by the Global NCAP and it managed to get one star. However, according to Global NCAP, the structural reinforcements were made on the driver’s side only. Renault introduced this structurally improved Kwid in the Indian market that year. In stark contrast, the Brazil-spec Renault Kwid received a respectable three-star rating when it was crash tested by LATIN NCAP in November 2017. The Kwid in the South American market comes standard with four airbags, including front & side, along with ABS and EBD and Isofix child seat anchors. The India-spec Kwid, on the other hand, features just an optional driver’s airbag. The Kwid in Brazil is also heavier than the one sold in India. Just to put things into perspective, the car that LATIN NCAP tested weighed 992kg, while the made-in-India ASEAN NCAP Kwid was 770kg. That equates to a whopping 222kg difference between the two. 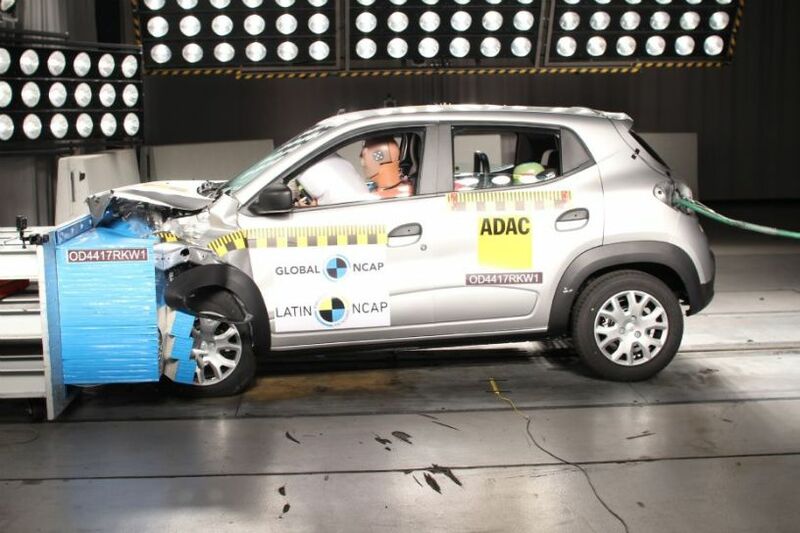 It is not just the Renault Kwid, the Global NCAP blew the whistle on the entire entry-level segment in India with cars such as the Maruti Suzuki Alto 800 and the Hyundai Eon faring miserably as well. Nevertheless, these cars will be updated heavily courtesy of the upcoming safety norms that will require dual front airbags, ABS and EBD to be standard. India will also get its own BNVSAP (Bharat New Vehicle Safety Assessment Program) crash test norms in 2020, which will rate Indian cars on various safety parameters.